10AM – 2PM excepting Oktoberfest, Seafood Fest, and Christmas. Up to 75 vendors with an emphasis on local fresh, hydroponic and organic veggies, gourmet take out treats, and locally made crafts and LIVE MUSIC! Four events per year – Saturday and Sunday! Featuring up to 200 artists, food, and music. FREE parking nearby. 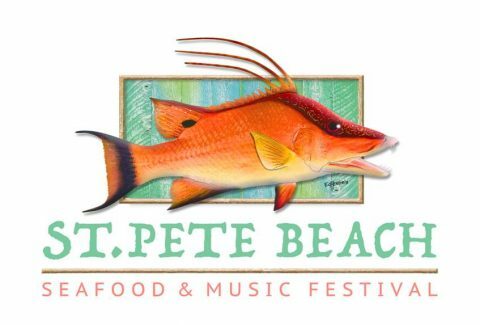 St. Pete Beach, FL — Come to our St. Pete Beach Seafood Festival on Corey Avenue for a unique blending of delicious foods, great music and a small marketplace of arts, crafts and select fine products. The festival’s approach is like that of creating a fine meal: selection and blending of only the finest ingredients. Meals are cooked onsite by local restaurants and food purveyors using only the freshest ingredients such as grouper, mahi, stone crabs, oysters, shrimp and soft-shell crabs. Seafood dishes are prepared using local, sustainable ocean resources from Florida coastal waters. Meat entrees and a variety of vegetarian and rice dishes also are on the menu. Alcoholic drinks (beer, wine and mixed-drinks) and non-alcoholic drinks (water, sodas and blended fruit drinks) are available along with a diversity of side dishes and desert items. While enjoying your meal, relax to some of Florida’s top local and regional musical entertainers. Performances are live on-stage in musical genres from rock, jazz and blues to reggae and Caribbean sounds. FREE parking nearby at St. Pete Beach Recreation Center and City Hall provided there is no other event scheduled.) Check for off-island parking and shuttle information on our FB page. Parking is always a challenge on our island, so we encourage use of Lyft, Uber, Free Beach Rides (727-776-7553, or www.FreeBeachRide.com), the Island Hopper, or use public transportation. 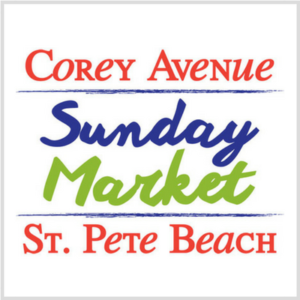 Make a day of it on ‘pet friendly’ Corey avenue…while supporting a great cause. 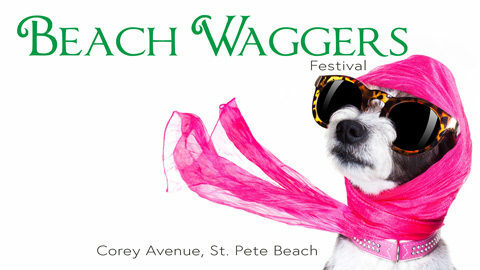 Pet Adoptions, Live Music, Raffles, shopping, and more…all to benefit Pet Pal Animal Shelter. Please ‘like’ our FB page and check for updates! Enjoy the day on Corey supporting our local ‘Turtle Trackers’ organization. Live Music, Turtle Nest Adoptions, Kids activities, Raffles, shopping, and more…all for a great cause! Meet your favorite ‘Whoville’ characters and enjoy live music, hot chocolate, kids activities and treats at the shops along Corey Avenue, whimsically decorated as ‘Whoville’, Florida- before, during, and after the parade! Join Santa and the Grinch along this year’s Christmas parade route! The parade starts at St Pete Beach City Hall (155 Corey Ave) and heads west down Corey Ave, south on Blind Pass Rd, east on 73rd to Bay Street and back to City Hall. There will be art projects, movie and a special visit from Santa at the end of the parade so be sure to follow Santa to the fun!! Meet the Grinch and enjoy a movie and events at the SPB Library after the parade.